Experts from Quebec’s Environment Ministry have confirmed that five years after the Lac-Mégantic train derailment, aquatic life in the nearby Chaudière River is gradually recovering – despite the lingering presence of oil. During the incident on July 06, 2013, a train carrying 72 tanker cars derailed in the middle of the town of Lac-Mégantic, causing an explosion that took the lives of 47 people. 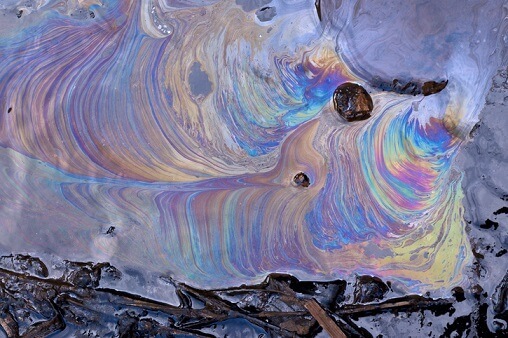 The accident also caused more than six million litres of crude oil to be leaked into the environment. The municipality of Lac-Mégantic (as of July 30, 2013) demanded that the train operator Montreal, Maine and Atlantic Railway reimburse $7.6 million in cleanup costs. Of the six million litres, about 100,000 litres of oil found its way into the Chaudière River, where it was swept downstream. Environment Ministry biologist Dave Berryman explained that the contamination was so severe that it even spread as far north as Saint-Georges-de-Beauce. “It was a serious situation,” Berryman told CBC News. Although the spill did not cause a steep increase in mortality rates, it affected smaller organisms that live over the water’s gravel and rocks. ‘‘They were basically smothered by the oil that settles on the bottom sediments,” Berryman added. The invertebrate benthic community was labeled “impoverished” in 2013 immediately following the disaster, but had begun showing signs of recovery as early as 2014. In 2016, it was found that only 8% of testing stations showed signs of oil sediments, surpassing acceptable levels. “We are surprised, we didn’t know what would happen,” remarked Berryman. The oil spill also affected the fish in the waters. Berryman said that fish could smell or taste the oil in the water, and would swim elsewhere if it detected a spill. Nevertheless, the fish started to exhibit abnormalities in the years following the spill. In 2014, less than 5% of fish showed signs of deformities. But, by 2016, 25% to 45% of fish were affected – mainly by fin erosion (a disease that results in the rotting away of fins). “It’s a common reaction for fish when they’re exposed to oil,” Berryman said.